• Place cooked shrimp in food processor. Pulse a few times to chop up shrimp. (Or shrimp can be chopped with a sharp knife.) In a small bowl combine cooked shrimp, parsley, lemon juice, salt/pepper. Cover and refrigerate for 30 minutes to 1 hour. • When ready to serve, cut off top of tomato and scoop out insides of tomato. 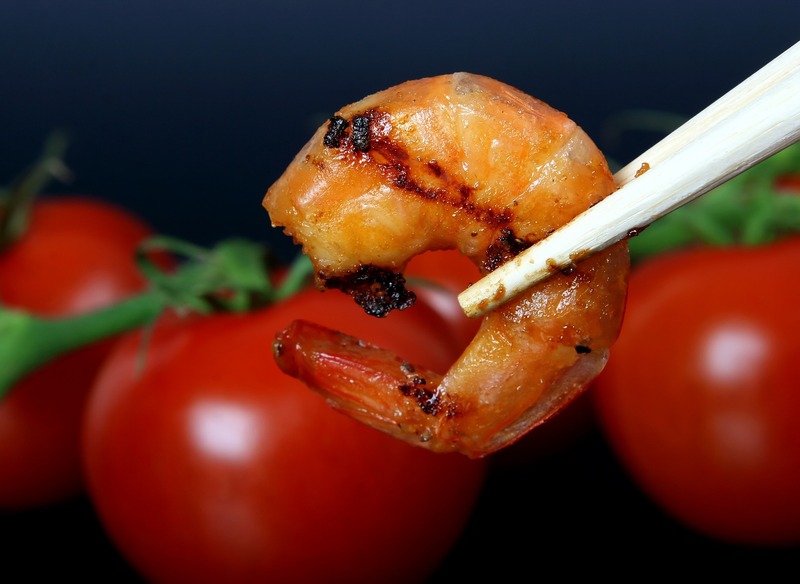 Chop and combine the scooped insides of the tomato with the shrimp mix. (Seeds may be discarded) Fill hollowed out tomato with shrimp mix. Top with a couple dashes of Tabasco (optional) and serve. • Tip: You may use baked fish instead of shrimp for this dish, if you’d like. There is no need for rich or sugary foods.